So, my original front seat for my canoe finally broke, and I've made up the frame for the replacement seat. Sad, I know, but I suspected this day would come from the first time I took it out. The plans I had didn't talk at all about how "hefty" to make the seat frames, and I made my front seat too thin for the span it stretched across the boat. 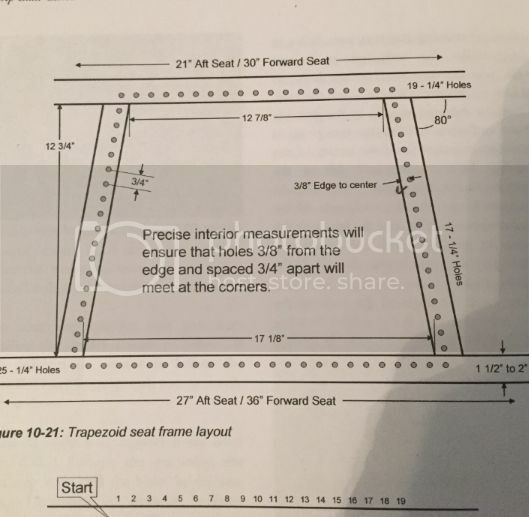 I used some plans I found in a book called Strip Built Canoe to make my seats initially, since it showed dimensions as far as how large to make the trapezoid shape, hole placement, and how to cane the seats. I tried contacting the folks from the book, only to have my email rejected so I presume those email addresses are no longer in use. Anywho, I've run into a small problem, potentially. The first seats, I followed the plans from the book only to realize that the dimensions I was going with didnt quite line up with where I had available wood for hanger bolts (i have scuppers cut into my inwale). I improvised by having 2 pieces of wood hang from the carriage bolts, and then just screwing the seat frame on to those. It worked, minus the fact that the frame was too thin and broke. 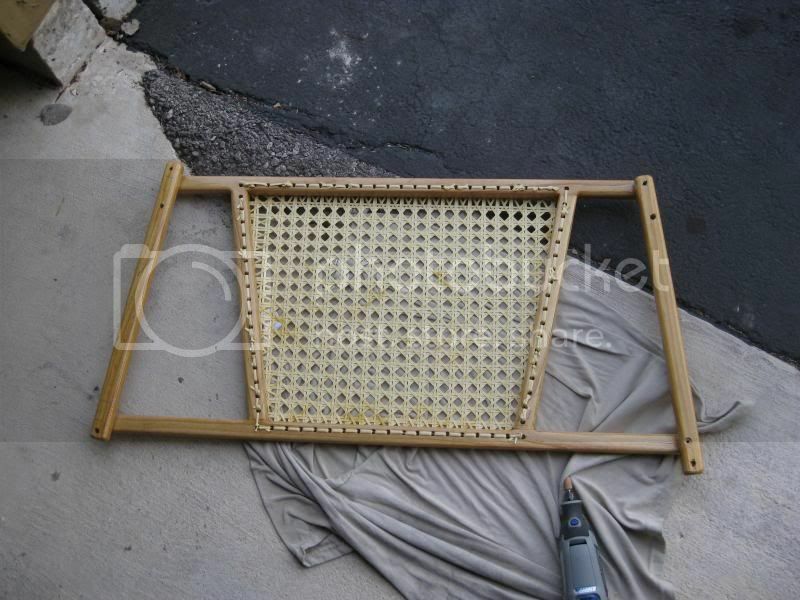 Do you guys think this will throw off my caning process? Should I just leave 2 holes off of the fore and aft pieces to compensate for this? I can always just start caning and "see what happens", but I have limited time and would rather not run out of cane and have to order more because it didnt work. Hope this wasnt too confusing :/ Thanks for whatever advice you guys have!! This site is so amazing!